The LEWA intellidrive technology can be used to design the pump's suction and discharge stroke and individually model the pumping characteristics! The highly dynamic servomotor modulates the pump's stroke according to the demands of your system and process. 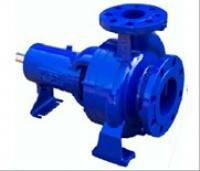 The stroke adjustment normally required for metering pumps can then be omitted. The LEWA intellidrive diaphragm metering pumps implement flow volumes up to 4 m�/h and discharge pressures up to 1000 bar.